Spotify has established itself as the go-to music streaming service, with a vast catalog that has long since been well into the millions. 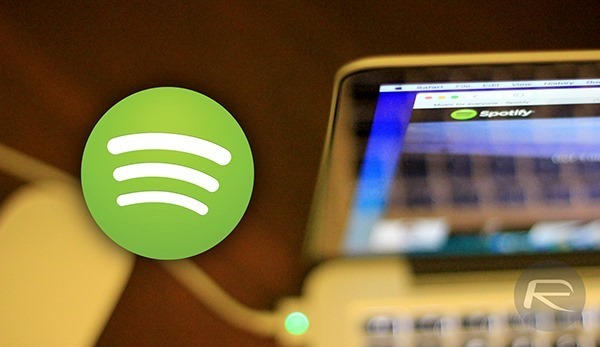 As well as continuing to strike deals with publishers and labels to broaden the range of music available, Spotify has been busily improving the service in general, and likewise, third parties have also been getting in on the act to enhance the experience. If you’re a Mac user running the latest OS X 10.10 Yosemite, you can now control your Spotify right from the Notification Center, and below, we’ve got the details. The app is called Spotify4Me, and once installed, you get a simple widget in your Yosemite Notification Center. From there, you can readily play / pause, skip or adjust the volume of the track you’re listening to, and moreover, you get a neat preview of the album cover. The interface keeps things nice and simple, in-keeping with the flat and clean look of OS X as a whole, and while it’s not exactly a feature-rich widget, it isn’t really supposed to be. In fact, it’s just a convenient, quick-access pane that allows you to skip a song you don’t feel like listening to, and for a lightweight utility, it’s certainly fit for purpose. You can avail Spotify4Me right now via GitHub, and if you are a Yosemite user subbed to the audio streaming service, this is a must-download. As you’d imagine, it’s completely free of charge, and once you’ve accustomed yourself to its presence, you’ll likely be using it all the time. If you’re not a Spotify user but interested in checking out the premium service, then the link below will show you how to get three months’ worth for just $0.99. It’s available to those in the US, and if you’ve not yet had the chance to give Spotify Premium a whirl, we’d highly recommend doing so. You can download Spotify4Me from here. And like we mentioned above, it’s absolutely free of charge, so there’s no harm in trying it out.